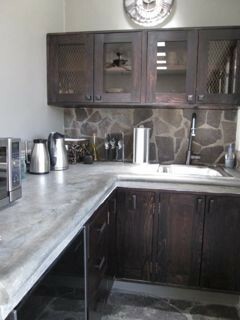 The kitchen area has everything you need for breakfast and snacks. For more serious cooking there is a 2-burner hotplate and utensils. New dishes and glassware.